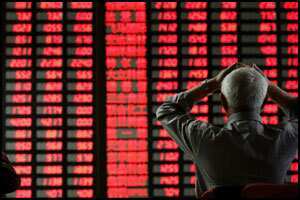 Hong Kong: Asian markets rose on Wednesday, boosted by a Wall Street rally following a report that European leaders were close to massively increasing a rescue fund for troubled eurozone economies. Tokyo gained 0.35%, or 30.63 points, to close at 8,772.54, while Sydney finished up 0.64%, or 26.8 points, at 4,213.70. In afternoon trade, Hong Kong was 1.61% higher with Shanghai flat after traders sold out on news from Beijing that the Chinese economy had slowed further in the third quarter. Seoul ended 0.93%, or 17.02 points, higher at 1,855.92. Markets took their lead from New York, where dealers welcomed a report in a British newspaper that France and Germany had agreed to more than quadruple the European Financial Stability Facility (EFSF) bailout fund. Citing unnamed European Union diplomats, The Guardian said the eurozone’s two biggest economies would boost the rescue fund to €2 trillion ($2.7 trillion) from its current €440 billion. If correct, the news would be a massive boost to markets as dealers have for months been concerned that a lack of strong leadership from Europe during its debt crisis could spark another global economic downturn. But doubts emerged amid conflicting reports that European officials were still debating the size of the EFSF. “The Guardian headline, that the package would be two trillion euros generated a risk rally, but soon markets realized that this was not new news, was denied, and the gains were eased," noted Emma Lawson of National Australia Bank. “Expectations for something positive from the weekend EU summit come against the backdrop of continued uncertainty over Greece," said Osao Iizuka, head of FX trading at Sumitomo Trust & Banking. Investors are cautiously awaiting a summit of EU leaders in Brussels on Sunday that many hope will provide a blueprint for a solution to the debt crisis, which has ravaged the European bloc. The euro fetched $1.3806 in early Tokyo trade, up from $1.3752 late Tuesday in New York, where the common currency was lifted by the Guardian report. It was at ¥105.97, up from 105.66 while the dollar bought ¥76.75 from ¥76.81. Analysts remained edgy. “What is apparent is that the lack of a single, unified voice from the EU has played a substantial part in the significant upward and downward shifts in financial markets," said Tim Waterer, a senior currency dealer at CMC Markets in Sydney. “As such, the choppy trading characteristics of markets in the past quarter may stick around for some time yet," he told Dow Jones Newswires. However, tempering the optimism was news that Moody’s had cut Spain’s debt rating, warning that no “credible" resolution to the country’s economic crisis had yet emerged. Moody’s is the last of the big three ratings agencies to downgrade Madrid as the government struggles to control its debt troubles. Wall Street provided a lead after Intel said it saw record sales for the third quarter, shrugging off worries about a softening PC market. However, despite a record-high quarterly profit, Apple’s earnings were still below forecasts. The Dow surged 1.58%, the tech-heavy Nasdaq rose 1.63% and the S&P 500 jumped 2.04%. Oil prices fell, with New York’s main contract, light sweet crude for delivery in November, dropping four cents to $88.30 per barrel. Brent North Sea crude for December fell 19 cents to $111.09.